The results of the Corruption Perceptions Index for 2018 puts Kosovo in the lower position in the global ranking. 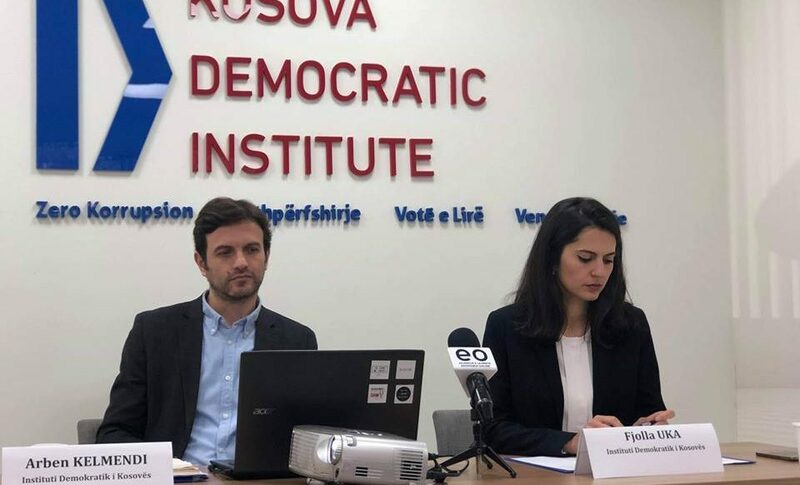 This was announced today during the press conference held by the Kosovo Democratic Institute (KDI) – the Chapter of Transparency International – the global network in the fight against corruption. On this occasion, Fjolla Uka from KDI highlighted that similar to previous years, this year, Transparency International (TI) published the results of the Corruption Perceptions Index, compiled using a a sophisticated scientific methodology. The sources of information for this research are mainly credible reports from international organizations such as Freedom House, World Bank, Bertelsmann Foundation, Global Insight and Varieties of Democracy Project. The index uses a 100-degree rating system in which the maximum rating means ‘a country free of corruption’ whereas zero point rating means “a very corrupt place country”. Uka announced that globally, out of 180 countries participating in this assessment, Denmark ranks first this year with 88 points overpassing last year’s leader New Zealand, that scored 87 points this year. The third place is shared among Finland, Singapore, Sweden and Switzerland with 85 points. Arben Kelmendi stated that Kosovo has lost two points in the CPI evaluation system this year (from 39 points in 2017 to 37 points this year) and as a result has fallen from the 85th position to 93th. “With the score of 37 points, Kosovo is still below the global average of 43 points. Kosovo’s weaker rating this year is mainly attributed to the fragile rule-of-law institutions, the high level of impunity of corruption cases, the lack of accountability of public officials, the lack of transparency and insufficient space for civic participation, he added. Another interesting finding from the analysis of the countries in the region is that the whole region is currently going through a stagnation period. It is only Macedonia that has added 2 points compared to the last year’s scores. State capture phenomenon is one of the main obstacles in fighting corruption and restoring law and order. 1. Independence of the justice system. Political interference in the work of the judiciary is undermining the independence and professional work of Kosovo justice system. 2. Combating corruption. Despite the recent changes in the anti-corruption legislation, the establishment of working groups and the design of the tracking mechanism for the high-level corruption cases, the fight against corruption remains one of the main challenges Kosovo society is facing. Local institutions should not be self-complacent by the positive signals coming from EU institutions on the progress made in this area. All serious research still shows a high level of nepotism, employments based on party affiliations, political appointments of board members in the public enterprises. 3. In the field of public procurement, transparency is required at all stages of the process, from the opening of bids to the proper management of public contracts and the increase of accountability of public officials, “added Kelmendi. KDI, as part of Transparency International, has always called for an open, transparent and corruption-free society where the government, business sector and civil society will work together for the good of the citizens of Kosovo. KDI encourages all citizens to report any case of corruption by dialing on the free-of-charge phone number 0800 77777. You can find the Corruption Perception Index published by TI here.